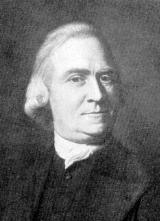 Samuel Adams was in attendance at the 1765 Stamp Act Congress and was motivated by the events he partook of at that Congress to form the "Committees of Correspondence" which were the foundation of the bringing together the colonies in unity toward Independence. He wrote the quote below in a series of essays published from 1770 to 1775 in the Boston Gazette. It is a tremendously important and never-ending problem for the self-governing American people to be not only adequately informed but ever alert and vigorously active in forestalling whenever possible, and combating whenever necessary, any and all threats to Individual Liberty and to its supporting system of constitutionally limited government. "If the liberties of America are ever compleatly ruined, of which in my opinion there is now the utmost danger, it will in all probability be the consequence of a mistaken notion of prudence, which leads men to acquiesce in measures of the most destructive tendency for the sake of present ease. When designs are form'd to rase the very foundation of a free government, those few who are to erect their grandeur and fortunes upon the general ruin, will employ every art to sooth the devoted people into a state of indolence, inattention and security, which is forever the fore-runner of slavery-- They are alarmed at nothing so much, as attempts to awaken the people to jealousy and watchfulness; and it has been an old game played over and over again, to hold up the men who would rouse their fellow citizens and countrymen to a sense of their real danger, and spirit them to the most zealous activity in the use of all proper means for the preservation of the public liberty, as 'pretended patriots,' 'intemperate politicians,' rash, hotheaded men, Incendiaries, wretched desperadoes, who, as was said of the best of men, would turn the world upside down, or have done it already." "The liberties of our country, the freedom of our civil constitution, are worth defending at all hazards: and it is our duty to defend them against all attacks. We have received them as a fair inheritance from our worthy ancestors. They purchased them for us with toil and danger and expense of treasure and blood; and transmitted them to us with care and diligence. It will bring an everlasting mark of infamy upon the present generation, enlightened as it is, if we should suffer them to be wrested from us by violence without a struggle; or be cheated out of them by the artifices of false and designing men. Of the latter we are in most danger at present. Let us therefore be aware of it. Let us contemplate our forefathers and posterity; and resolve to maintain the rights bequeathed to us from the former, for the sake of the latter. Instead of sitting down satisfied with the efforts we have already made, WHICH IS THE WISH OF OUR ENEMIES, the necessity of the times, more than ever, calls for our utmost circumspection, deliberation, fortitude and perseverance. 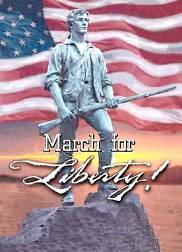 Let us remember that "if we suffer tamely a lawless attack upon our liberty, we encourage it, and involve others in our doom!" It is a very serious consideration, which should deeply impress our minds, that MILLIONS YET UNBORN MAY BE THE MISERABLE SHARERS IN THE EVENT." "The tragedy of American freedom, it is to be feared, is nearly compleated. A tyranny seems to be at the very door. It is to little purpose, then, to go about coolly to rehearse the gradual steps that have been taken, the means that have been used, and the instruments employed to encompass the ruin of the public liberty. We know them and we detest them. But what will this avail, if we have not courage and resolution to prevent the completion of their system?" These remarks pertained to internal dangers to Individual Liberty equally as much as to external dangers in that day, then involving potentially the values inherent in the approaching Revolution of 1776. These internal dangers to Individual Liberty are ever present, potentially or actually in greater or lesser degree, in every generation -- from year to year and day to day. This 1771 warning by Samuel Adams constitutes also one of his most salutary admonitions to Posterity. One must understand the times of Adams. In 1776 the British American Colonies had been actively at war with the King for over two years. It was preceded by over twenty five years of abuse and usurpations by the Crown which led to open revolution and the Declaration for Independence. As was the norm in the times of Adams, many published under pseudonyms, or nom-de-guerre's, to keep the British from beheading them. At the time of the publishing of the Federalist Papers this was still an acceptable practice in society. Today, myself as well as many others also publish under many different identities and names.